Growing up, my mother reported experiences of ESP. She saw ghosts when she was a young child and as a young woman. She has a very unusual and large birthmark on her back that she would say was the sign of a witch, and had she been alive in the Salem Witch Trial times, she surely would have been burned at the stake. It filled my mind with fantastical fantasies as a young being. Her aunt, my great-aunt, Jesse, was a Christian Science Practitioner. She healed people all over the world of all sorts of maladies, including cancer and seizures. People would send her notes of thanks and money all through her life, and after her death, we received many cards of praises from all the people she healed. She herself lived to be 102 and never went to a doctor. She healed her own broken hip. She was lucid and funny until the end. Upon her death-bed, she gave me her copy of the Christian Science scriptures. She told me to read a page a day. She was passing the baton to me. I grew up highly sensitive. I was often told that I was, “too sensitive.” I hated it. I was, though. I was sensitive to smells, feelings, visions, things people said. I blushed bright red very easily and burst into tears when caught off guard. It wasn’t until I saw psychics of my own that they informed me my sensitivities were a gift. It revolutionized the way I saw myself. It changed everything. After ten plus years of seeing psychics of my own and them telling me, I too, was psychic, I finally realized that perhaps it was true. I’d always thought it was a glaring gift one was born with and tapped into as a wee child. If I wasn’t seeing dead people, I wasn’t really a psychic. I enrolled in Psychic Horizon’s Clairvoyant program. It felt like coming home. I loved the people and the practices, which consisted of meditating and reading one another. I felt like I’d opened to ancient memory. Soon, I began to realize that there were layers to my knowing. The tools and techniques I learned were great, and I was uncovering my own psychic memory, too. Over the year I was in the course, and in the two years since that I’ve read people, my abilities have developed and evolved. I see images Clairvoyantly, but I also feel as an empath and a medical intuitive. I can feel pains, aches, places were people have had surgeries. I empath emotions and feelings, see pictures, colors and symbols and transmit a message to you from spirit. You can too, you know. It feels as though I’ve awoken to my soul’s purpose and opened an ancient treasure chest of jewels. Are you awakening to deeper sensitivities? Do you rely more on your intuition than ever before? If you’ve found me, my hit is that you, too, are awakening to the fact that you are psychic. Perhaps you know that already, or you’ve had experiences with intuitive knowing, a gut feeling, or psychic phenomena. I imagine you’re wanting to tap into yourself on a deeper level. What you really want is a deeper connection to yourself. You’re ready to see what you see, know what you know and speak your truth. For the truth is, we are all psychic. If you are ready to nurture your relationship with the divine, I can show you how. Click here to find my free resources. These videos are full of thousands of dollars worth of techniques that I’ve learned. I offer them here to you, FREE. Use these ancient practices to heal yourself and move energy and receive your own guidance. 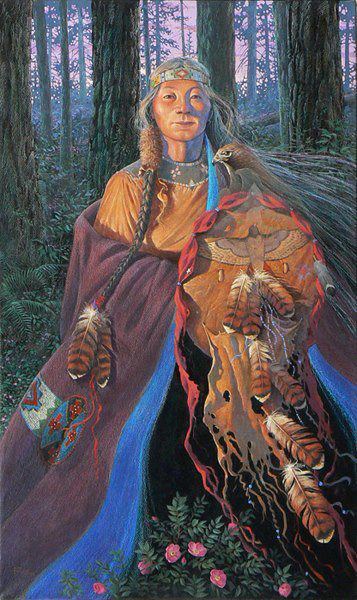 Heal the spirit and the spirit heals the body. If you’d like to receive a transmission through me, click here. If you’d like to learn more,click here, get on my newsletter, and let’s stay connected. I’d love to hear from you. Leave a comment below and let me know how your sensitivities, healing abilities and intuition have shown up in your life, or ways that your treasures within are revealing themselves to you, as we all awaken to our divinity. If you like this, like it. Please share.